This book addresses religion and secularism as critical and contested elements of college student diversity. 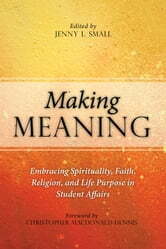 It both examines why and how this topic has become an integral aspect of the field of student affairs, and considers how scholars and practitioners should engage in the discussion, as well as the extent to which they should be involved in students’ crises of faith, spiritual struggles, and questions of life purpose. Part history of the field, part prognostication for the future, the contributing authors discuss how student affairs has reached this critical juncture in its relationship with religious and secular diversity and why this development is poised to create lasting change on college campuses. 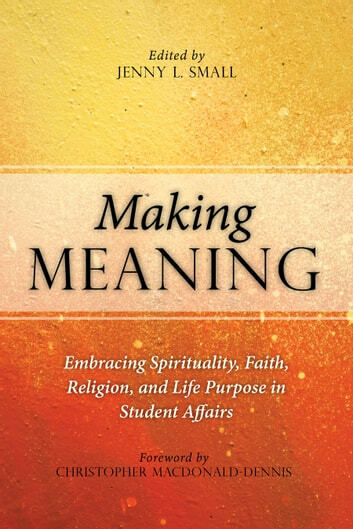 Making Meaning provides a comprehensive resource for student affairs scholars and practitioners seeking to understand these topics and apply them in their own research and daily work.